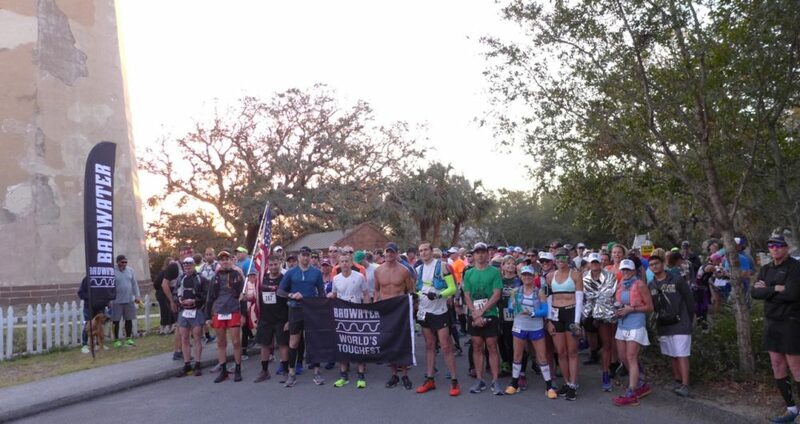 The sixth annual Badwater Cape Fear 50km / 51mi ultramarathon takes place March 16, 2019 on Bald Head Island, North Carolina. 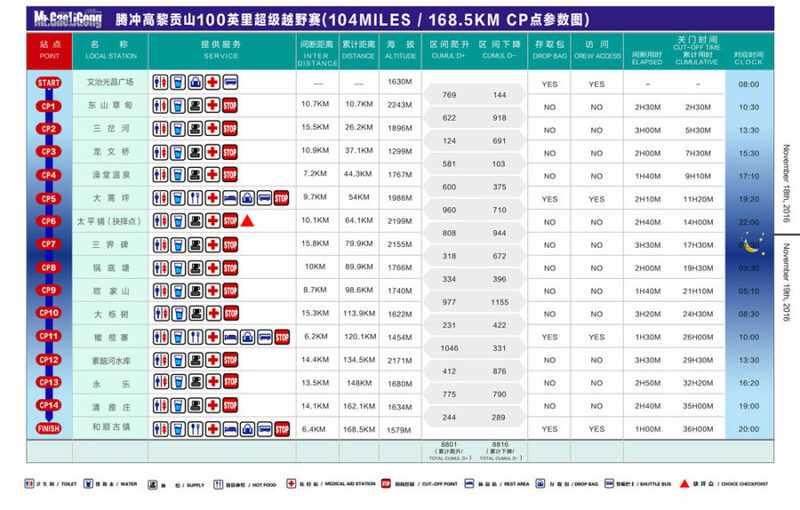 A field of 159 runners competed in either the 50km race or the 51-mile race, with all but two finishing officially. Click here for the race results. 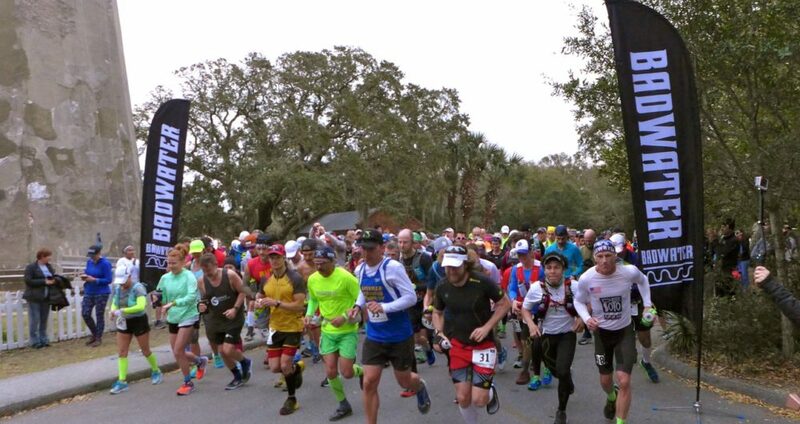 The 2019 race featured 159 runners. This includes runners from Armenia, Canada, Cayman Islands, Germany, India, Mexico, Philippines, Portugal, Turkey, United Arab Emirates, and United Kingdom, plus from 23 American states, districts, and territories: California (6), Colorado (2), District of Columbia (1), Florida (18), Georgia (1), Illinois (7), Louisiana (4), Massachusetts (3), Michigan (1), Mississippi (1), New Jersey (4), New Mexico (1), New York (7), North Carolina (54), Ohio (3), Pennsylvania (8), South Carolina (14), Tennessee (4), Texas (5), Vermont (1), Virginia (3), Washington (2), and Wisconsin (1). We had one 15-year-old and one 16-year-old runner, while the rest ranged in age from 22 to 73. There were 46 females and 113 males, 108 rookies and 51 race veterans. For the full race roster, click here. 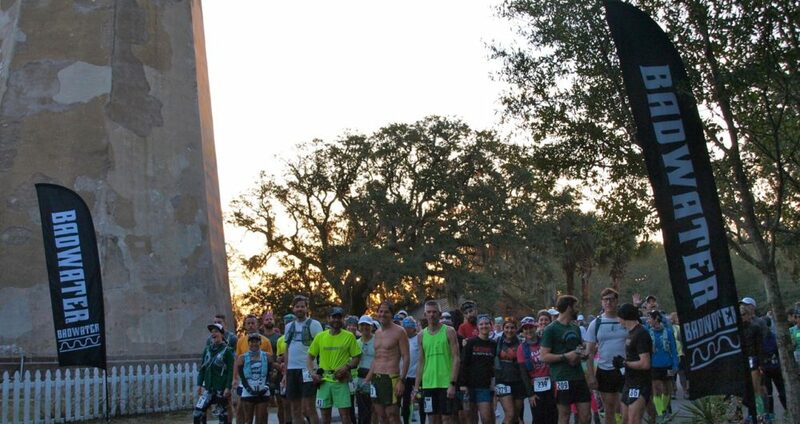 Registration will open soon for the March 2020 edition, and there is a 200-runner limit which will sell out. Whether you are a grizzled Badwater veteran, or looking to take on your first Badwater race, we hope you will join us! To download the full Press Release, Media Kit, and Credential Application in PDF format, click here. To download the July 2018 issue of BADWATER Magazine, click here. 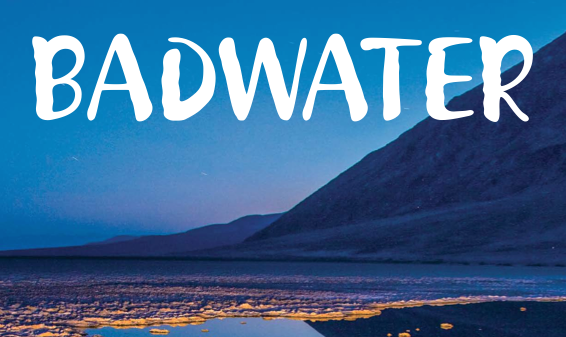 Death Valley, CA: On July 23-25, AdventureCORPS presents its legendary BADWATER® 135. Now in its 41st year, the world-renowned event pits up to 100 of the world’s toughest athletes against one another and the elements. In scorching temperatures and at altitudes as high as 8,360 feet (2548m), runners, triathletes, adventure racers, and mountaineers from 22 countries and 22 American states will face off in a grueling 135-mile non-stop run from Death Valley to Mt. Whitney, CA. 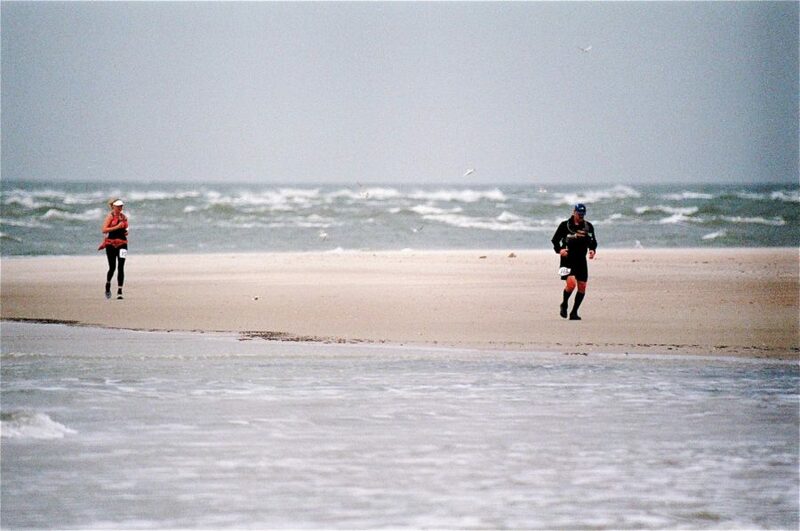 Widely recognized as “the world’s toughest foot race, “ it is the most demanding and extreme running race on the planet. 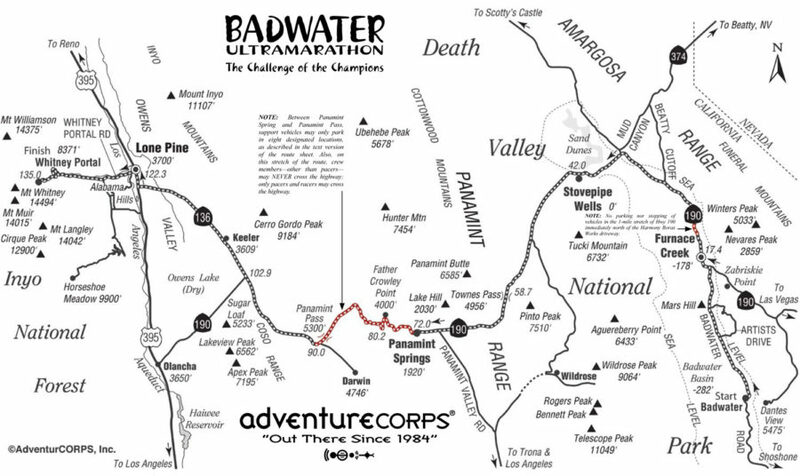 A true “challenge of the champions,” the 2018 Badwater 135 features 50 Badwater veterans and 49 rookies: die hard “ultra-runners” of every speed and ability, as well as athletes who have the necessary running credentials, but are primarily known for their exploits as adventure racers, mountaineers, triathletes, or in other extreme pursuits. 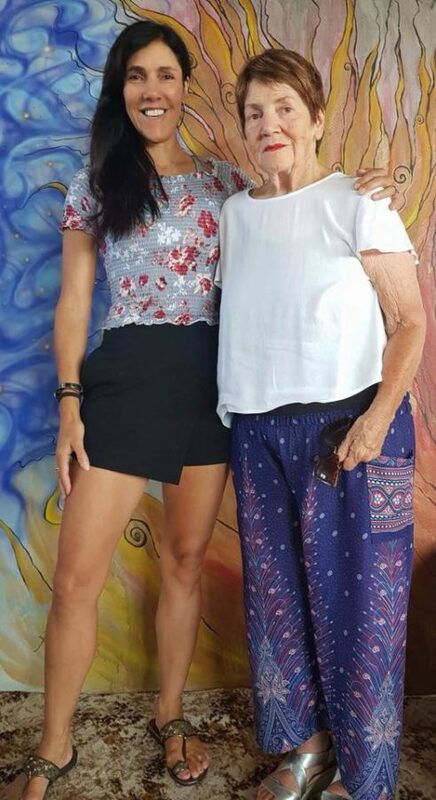 With one of the most international fields in race history, the athletes represent twenty-two countries: Armenia (first-ever Armenian entrant Telma Ghazarian Altoon), Australia, Brazil, Canada, Cayman Islands, Czech Republic, Greece (first ever Greek female entrant Georgia Mitsou), Hungary, India, Indonesia (first-ever Indonesian entrant Hendra Wijaya), Ireland, Italy, Mexico, Norway, Philippines, Poland, Russia, Spain, Sweden, Switzerland, United Kingdom, and United States of America. Twenty-two different American states and territories are represented: Alabama, Arizona, California, Colorado, District of Columbia, Florida, Georgia, Illinois, Minnesota, Missouri, Nevada, New Mexico, New York, North Carolina, Ohio, Puerto Rico, Tennessee, Texas, Utah, Vermont, and Washington. Both men’s and women’s course records were broken in 2016: Pete Kostelnick, 28, of Lincoln, NE set the men’s record of 21:56:31, while Alyson Venti (now Allen), 34, of New York, NY, set the women’s record of 25:53:07. 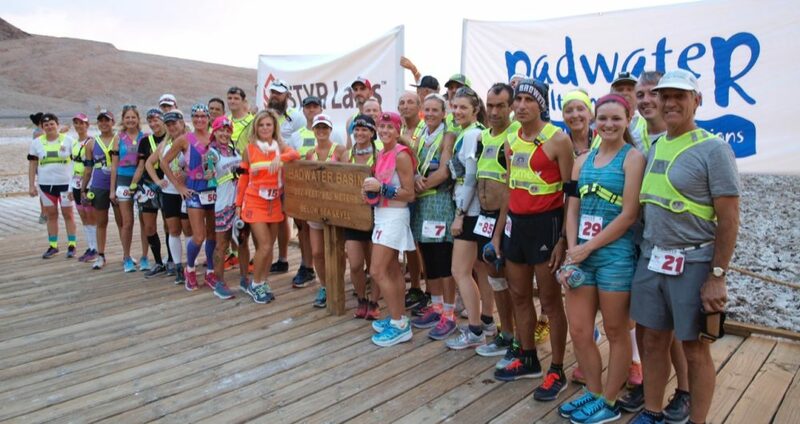 It is expected that the winners of the 2018 Badwater 135 will finish in near record time for both men’s and women’s divisions. The average finishing time is approximately 40 hours, while the overall time limit is 48 hours. 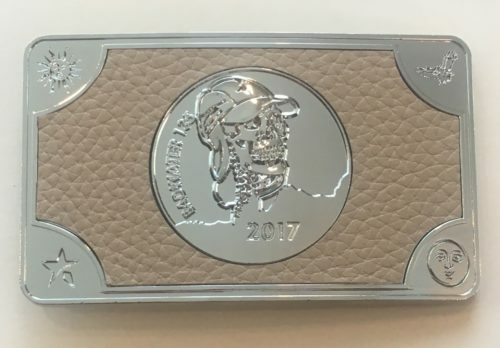 For those who finish in less than forty-eight hours, their reward is the coveted Badwater 135 belt buckle. There is no prize money. The 2018 race field is particularly competitive. Veteran men’s contenders include 2015 and 2016 champion Pete Kostelnick, 30, of Hannibal, MO (who also broke the 36-year-old Trans-USA running record in 2016), 2014 champion Harvey Lewis, 42, of Cincinnati, OH (who placed 2nd in 2016), 2011 men’s champion Oswaldo Lopez, 46, of Madera, CA (Mexico citizenship), 2008 men’s champion Zach Gingerich, 39, of Newberg, OR, and other notable contenders such as multiple Badwater Salton Sea champions Jared Fetterolf, 29, of Dallas, TX and Ray Sanchez, 51, of Sacramento, CA, and two-time Badwater Cape Fear champion Eric Hunziker, 49, of Cincinnati, OH. 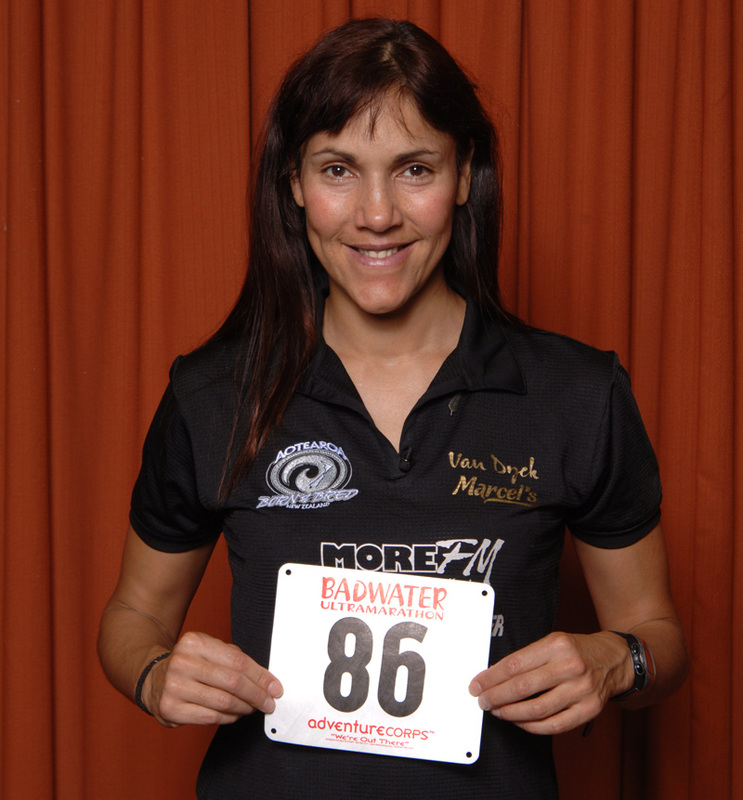 The largest women’s field in race history is also stacked with talent, but no recent women’s Badwater 135 champions. The women’s field of 31 runners includes 14 rookies and 18 veterans. 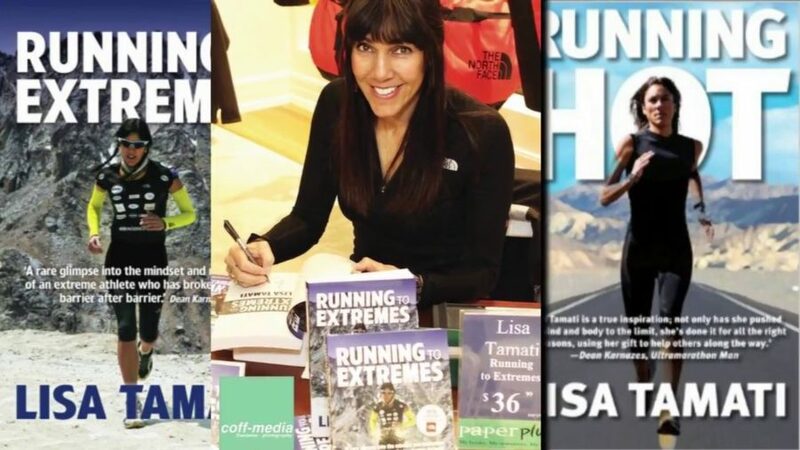 Notable contenders include Badwater 135 veteran Brenda Guajardo who is a three-time winner of the Nove Colli ultramarathon in Italy and placed 2nd female and 10th overall in the 2016 Badwater 135, along with 2017 second place female Amy Costa and 3rd place female Pamela Chapman-Markle. 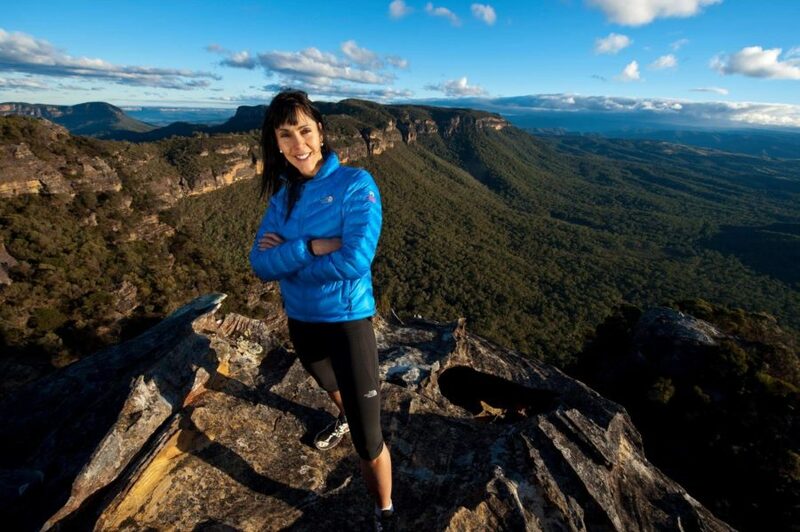 With a record number of women competing – includes those with podium finishes at some of the world’s toughest ultramarathons – it will be an intense battle. Also competing are Badwater legends Marshall Ulrich, 67, of Evergreen, CO, a twenty-time Badwater 135 finisher and four-time winner in 1991, 1992, 1993, and 1996, along with David Jones, 66, of Murfreesboro, TN, the 1997 Badwater 135 race champion, nine-time finisher, and 60+ age group record holder. 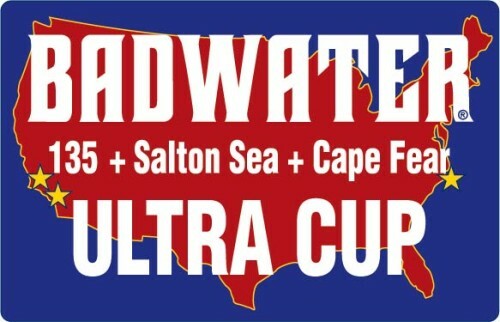 The Badwater 135 is the final event in the Badwater® Ultra Cup, a three-race series which began with the 51-mile Badwater® Cape Fear in March, continued with the 81-mile Badwater® Salton Sea in April, and now concludes with the Badwater 135 in July. Those runners who complete all three events in the same calendar year are featured on the Badwater.com website and their virtues are extolled throughout the Internet and in future editions of BADWATER Magazine. In 2014, seven athletes completed the entire Badwater Ultra Cup, nine completed the 2015 Badwater Ultra Cup, sixteen completed the 2016 Badwater Ultra Cup, fifteen racers completed the 2017 Badwater Ultra Cup, and fourteen racers have completed the first two Badwater races this year and will toe the line at this third and final Badwater race on July 23-25. Official Charities of the Badwater 135 include the Challenged Athletes Foundation. As one of the very few charities that provides grants directly to athletes with a physical disability, the Challenged Athletes Foundation has raised over thirty million dollars and directly assisted thousands of challenged athletes world-wide. AdventureCORPS also supports the Bald Head Island Conservancy, Death Valley Natural History Association, Conservation Alliance, and One Percent For The Planet. One of the goals of the Badwater 135 is to raise funds for, and awareness of, these organizations. More info. Additionally, many of the race entrants are competing on behalf of a charity of their choice. 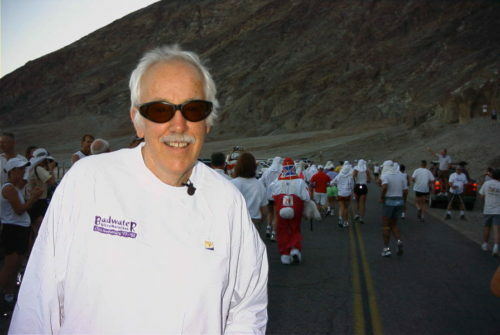 This year’s race celebrates the 41st anniversary of Al Arnold’s original trek from Badwater Basin to Mt. Whitney in 1977. Arnold, an ultrarunning pioneer, human potential guru, and health club manager, competed in a solo effort: it was just Arnold and his support crew against the elements and the clock. It took him three efforts before he was successful, having first attempted the route in 1974 and then 1975. It took four more years until Jay Birmingham also completed the course, in 1981. The official head-to-head race began ten years after Arnold’s pioneer trek, in 1987, and has been held annually since then without serious incident, fatality, or any citations issued by any branch of law enforcement. Sadly, we lost our incredible friend Al Arnold when he passed away last year on September 6, 2017 at the age of 89. When I first took over this race in 1999, Al was one of the very first people that I tracked down and went to go meet. 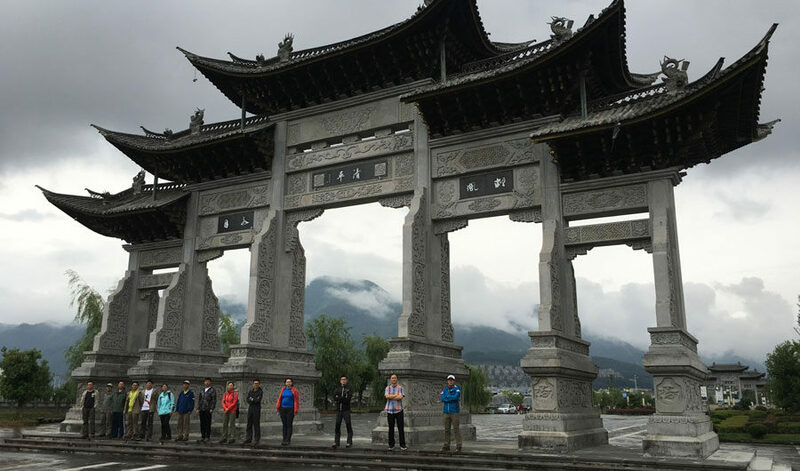 The previous race organizers had never contacted him, so he was pleased that somebody with an appreciation of history had taken over the event and made an effort to reach out to him. We became incredible friends and stayed in touch regularly and I visited him in his home in Walnut Creek whenever possible; he would regale me with stories about his life and always cooked up a veggie burger. He had a zest for life that was incredible. We brought Al to the race in 2002, the 25th anniversary of his run, and he was treated like a rock star by everyone in attendance. 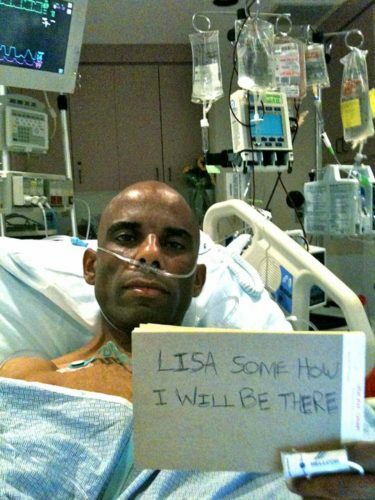 Since then, he was in regular email contact with runners all over the world, some of them Badwater 135 veterans and some were long-term hopefuls looking for advice from the man who first showed us what was possible. Just last summer, race veteran Cory Reese went to visit Al to interview him for his book about the race, “Into The Furnace.” Speaking of stories about Al, besides opening our July 2018 magazine with his obituary, we are also pleased to reprint therein the entire ten-page article from the Spring 1978 issue of Marathoner Magazine about Al’s pioneering run. What a story, what a life! There is no doubt that Al was well loved and respected within the Badwater Family and the running world at large. He will be sorely missed, but his spirit will live on with each year’s edition of the world’s toughest foot race. Al Arnold at the start line of the 2002 Badwater Ultramarathon. Follow the 2018 webcast at (including real-time GPS tracking of all runners) at this link. Follow the 2018 time splits and results at this link. 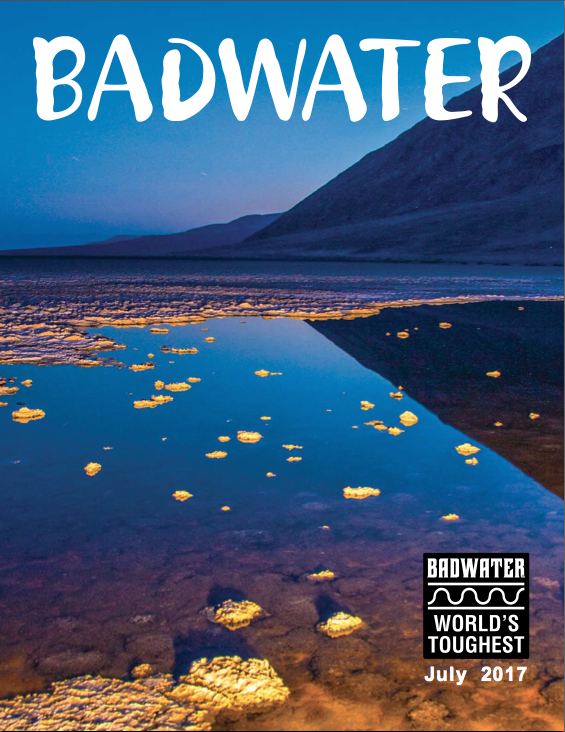 Download the July 2018 issue of BADWATER Magazine at this link. Oak Park, CA-based AdventureCORPS®, Inc. is an athlete-run firm producing and promoting ultra-endurance sports events and the world’s toughest brand, BADWATER®. Adventure is our way of life. 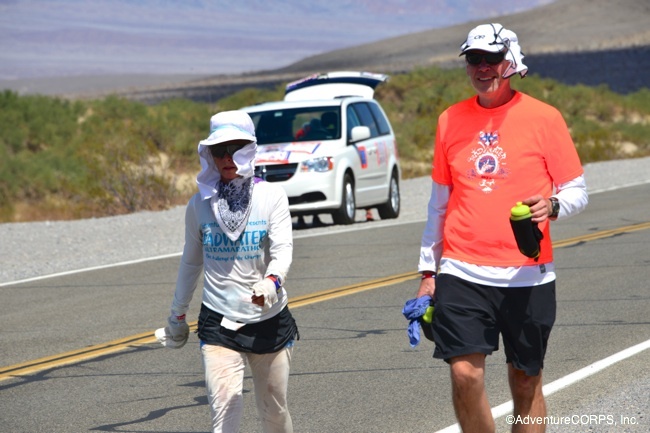 AdventureCORPS’ world-class events for athlete-adventurers include epic races such as the Badwater® 135, BADWATER® Salton Sea, and BADWATER® Cape Fear, and other events. Our products include the Badwater® line of apparel, skin care products, gear, and services. Founded in 1984 by Chris Kostman, this group effort is dedicated to exploring the inner and outer universes, seeking adventure, energy, and insight both in daily life and “out there.” More info is available at www.adventurecorps.com and www.badwater.com. 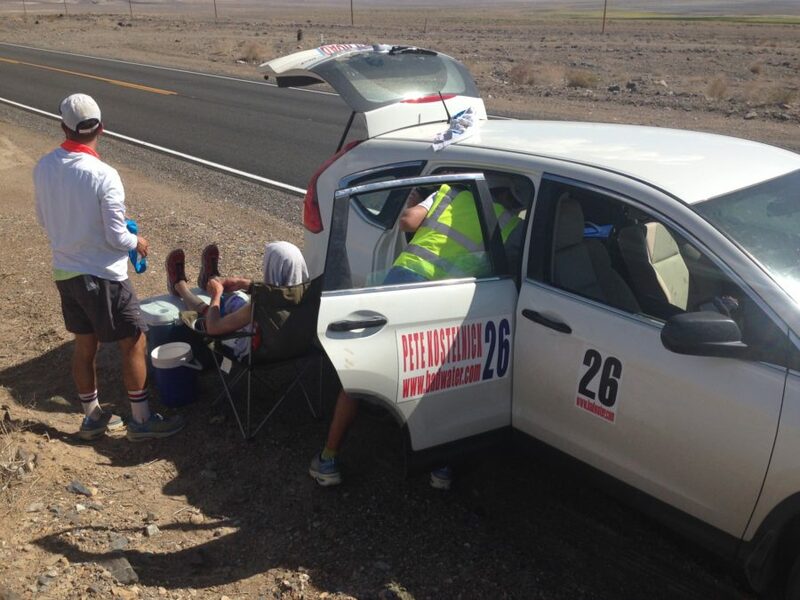 Badwater 135: The Ideal Support Vehicle (and its Set-Up)? 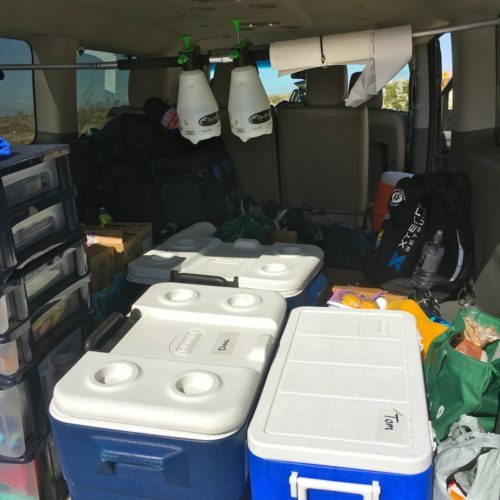 Recently we asked 2017 veterans of the Badwater 135 to weigh in with their suggestions and experience with selecting, setting up, and using their “ideal” support vehicle at the world’s toughest foot race, as well as best crewing practices. 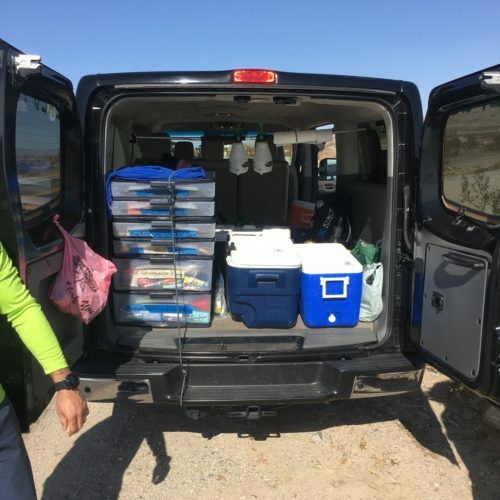 We – the race organizers – are big fans of using smaller vehicles, such as mini-vans or even small to medium SUVs, even though they make it a bit harder to carry lots of ice, food, water, and gear for the runner and all the crew members. 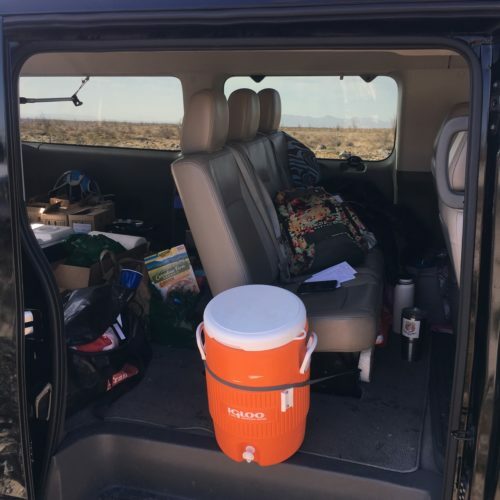 (Just be space-efficient with your packing and have and implement a good plan to buy ice, water, and supplies at Furnace Creek, Stovepipe Wells, Panamint Springs, and Lone Pine, and you will have all that you need.) We prefer smaller support vehicles because they are much easier to park on narrow shoulders, less likely to get stuck in the sand on those shoulders (which happens many times every year at the race), and they are much easier to drive, easier to pass, and easier to park than larger vehicles. 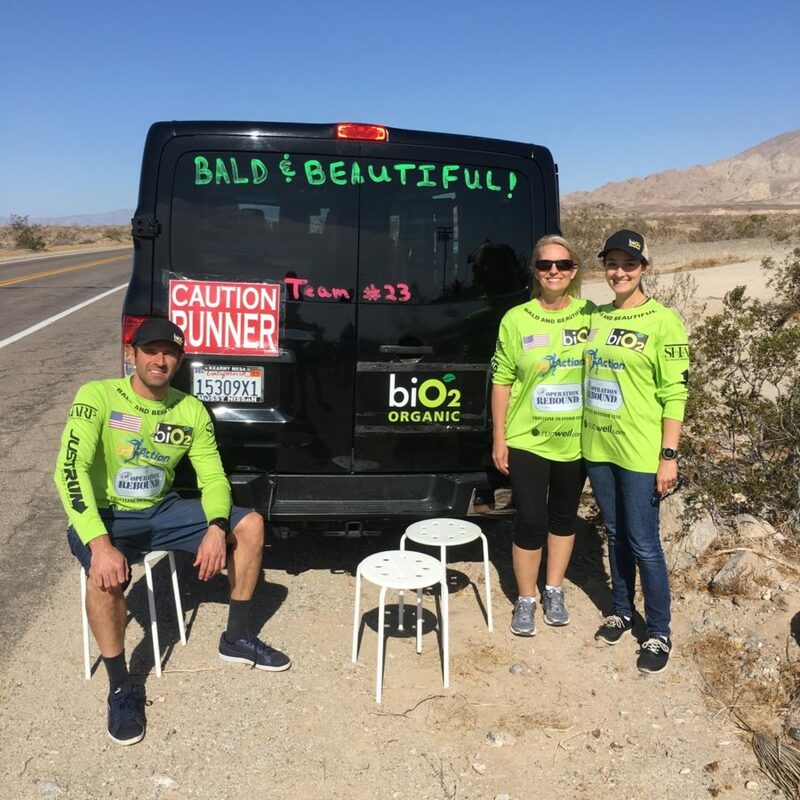 But first, let us state that – without a doubt – the most popular support vehicle at the race every year is the Dodge Caravan (also known as the Chrysler Town and Country), a mini-van that is less than 78″ wide and just 70″ tall. We highly recommend this vehicle! If you are renting one, be sure yours is equipped with “Stow & Go” seats which almost magically disappear into the floor of the vehicle. I’m a big believer in less is more. Usually I’m the guy with the least amount of equipment, etc—not because I’m ignorant, but because I bring a lot of items in smaller quantities. This race is all about risk management. For example, don’t bring four pairs of the same shoe. Bring one that you love and another that you could see being a little roomier or cushioned if you get a bad blister. Don’t bring a cabinet with blister gear—bring a ziplock bag with the essentials for quickly treating a blister and getting back out on the run. Don’t bring an additional ice chest just to sit in—bring a mini Gatorade cooler that you can dip your clothing and hat in. The two years I finished first, we used my wife’s Honda CRV (shown in photos). I wouldn’t recommend anything smaller, but because I didn’t have a million bulky items packed, my crew was able to do a superb job getting me what they knew I would need! • Chrysler minivans work best. Double sliding doors, with the traffic-side door lockable. 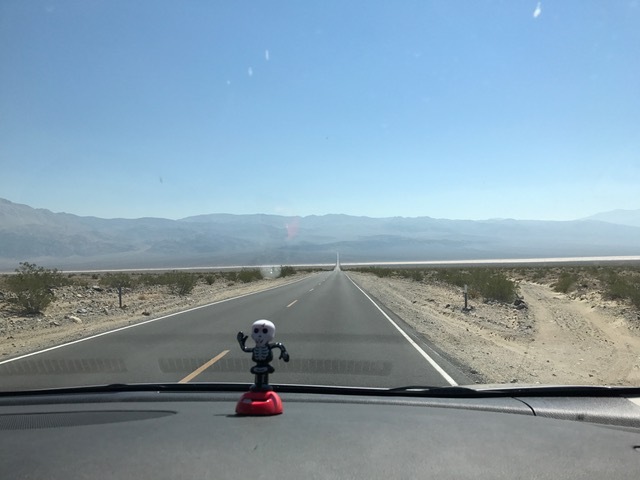 • Driving the course from Furnace Creek to the finish line the Saturday before has proven very helpful and improves crew efficiency. We do it every year and helps all learn where we can and can’t park, and where we might prefer to park/take breaks. • NEVER take key out of ignition. • Keeping Air Conditioning off during the race is NO longer needed. New vehicles are engineered for constant A/C. • Runner has own ice cooler. Because of compromised immune system due to fatigue, keeping a dedicated cooler for the runner with no unprotected hands going into its ice is a must. • Pacer should carry a walkie talkie to radio ahead the runner’s needs. Be sure to find obscure (quiet) channel to avoid confusion with other teams. • Pacer/crew always comes across the road to runner. Keep runner moving toward finish line, not crisscrossing to van and back. The race is long enough! • Covering the front seat with a taped down towel for runner/crew rest. If for runner, recline it before they get there. 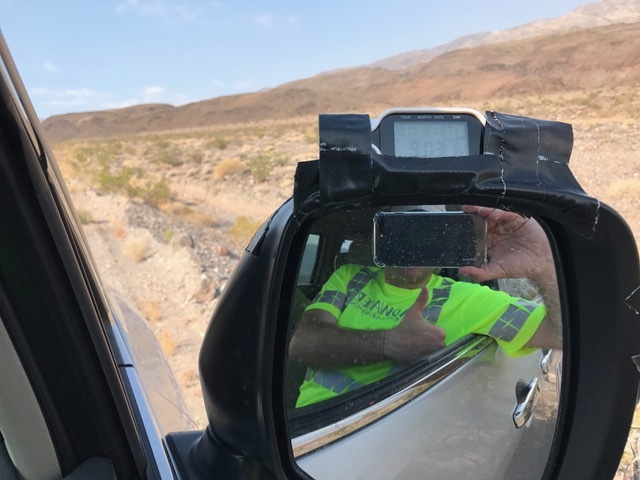 • Having a tarp to cover the windshield and/or windows to block heat in the event of mid-race issues is a good way to stay cool during an extended break, and may avoid the need to stake out. • Always keep a record of the runner’s intake of calories, electrolytes, protein, fluids, etc. This makes for a more efficient second day when all are tired and can’t remember these details for reference. • For those who aren’t frontrunners, insist on certain rest stops for the runner, especially on Day 1. We implement mile rest stops vs. time stops. By running to a certain mile stop it keeps the runner moving a bit faster than saying “let’s break after 5 hours.” As I’m a 40+ hour finisher, we typically break at mile 27, 50 (just past the time cut-off point), 59 (top of Towne Pass), 72 (just past the time cut-off point), 80.6 (Father Crawley turn-off). From there to the finish most plans go out the window. • Crew rest is as important as runner rest. • Put one crew in charge as the Crew Chief well in advance of the start, and that person has full authority during the race. As sleep deprivation sets in, crew members’ worst characteristics come to the surface, creating multiple “bosses.” This is alleviated with a designated crew chief. 1. All crewmembers should pack light and use collapsible duffel bags. 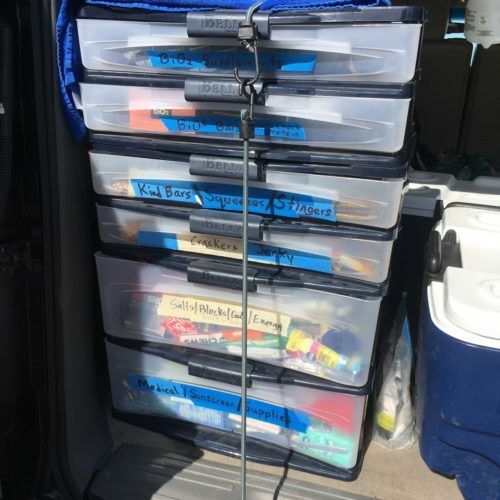 Not only do you have to get people and supplies for the race in the car, but you are also going to have to carry all of your personal gear: Pack carefully to minimize space! 3. A plastic tarp in the back of the vehicle is a very good idea and will protect the carpet of the vehicle. 4. Bring a vehicle that has a light colored interior and exterior, if at all possible. – in 2016 we used a Dodge caravan. It was great except it didn’t have any 12v outlets at the back to plug in lights etc. – 2017 I think we had a similar sized Kia, again no rear power but it did have a couple for the back seat that we used. Also, make sure you go over the car in detail: we only discovered a huge space we could have stashed things in when we dropped the van off after the race! – For similar races in Australia I love to get a roof mounted ‘pod’ where all of the non-race stuff is stored during the race. That gets it out of the car. We were not able to hire one, so that tip is probably only good for your USA-based competitors. – Get an unusual light for the outside of van so your runner can tell which is the correct van at night because of flashing, colours, etc. – Because you’re only allowed to open the van doors from right side, we put the sleeping crew member on the left side. Also an eye mask is good. 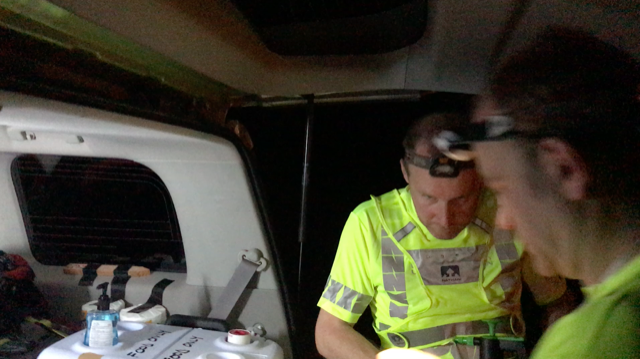 – For bragging rights, get an LCD thermometer and tape it to the outside of your van so you can photograph it during the race without actually getting out and experiencing what your runner is feeling…..
– We tested making a shelter with a couple of poles and a tarp, connected to the car but it was just annoying in the end and we gave up. – Antibacterial hand wash, and the coolers, were also marked as in the above pic. 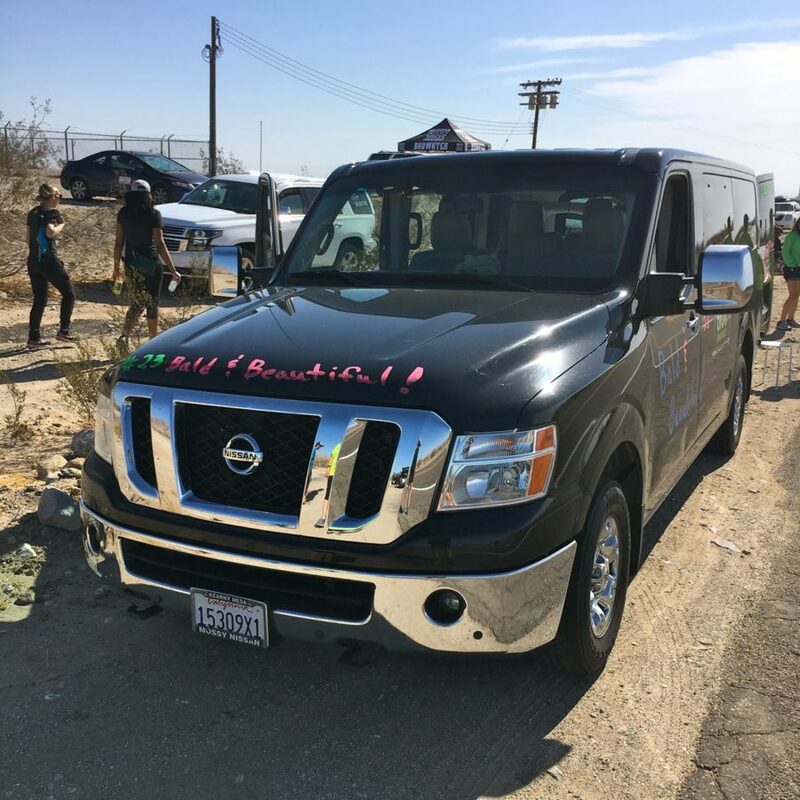 Finally, we want to conclude with some photos of what is the largest “legal” vehicle to use as a support vehicle at the Badwater 135 (per the race rules), the Nissan NV 3500HD 12. This vehicle was recently used at Badwater Salton Sea by Tom Atwell, who will compete in the Badwater 135 this July (2018) and will use this as his support vehicle. 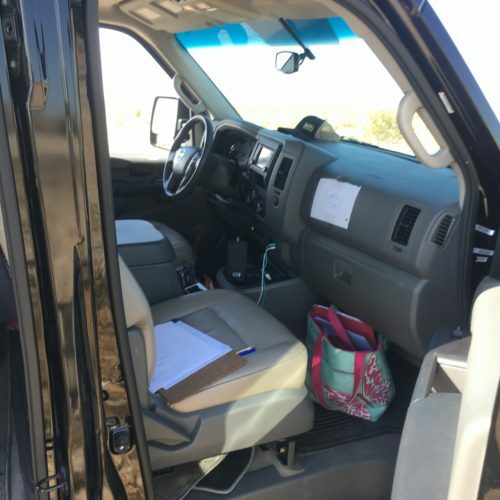 But please note, although there are certain advantages to using a vehicle this large (mainly, lots of space for crew members and for lots of coolers and gear), it will also be VERY difficult to park along many parts of the race route because of very narrow shoulders. We therefore do not recommend this vehicle, although it will be allowed in 2018. From Tom: Width is definitely between 78” and 79”, not more than 79”. The height is approximately 80”. 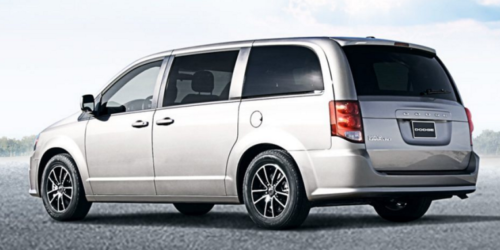 For comparison, a standard-size minivan, like a Dodge Caravan or Chrysler Town and Country, is 70” in height. A Mercedes Sprinter Van, by comparison is 110” tall. Behold the July 2017 edition of Badwater Magazine. Thanks to the always awesome Kevin Fung for the design and layout! Thanks, too, to eight-time Badwater 135 official finisher Ian Parker for the cover photo! (See more of Ian’s superb nature photography and dramatic Badwater race photography at this link.) Thanks, Bob Corman of the Silver State 508 Hall of Fame for the precision printing! All racers and support crews should study the magazine carefully. 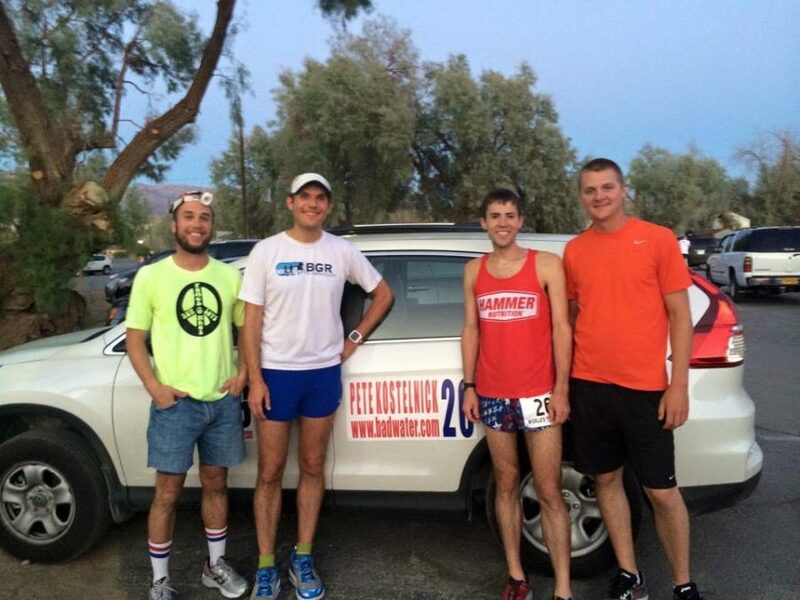 Each runner and staff member will receive a hard copy during Racer Check-In on July 9 in Stovepipe Wells. Download the magazine (it’s 68 pages and 10MB) at this link . 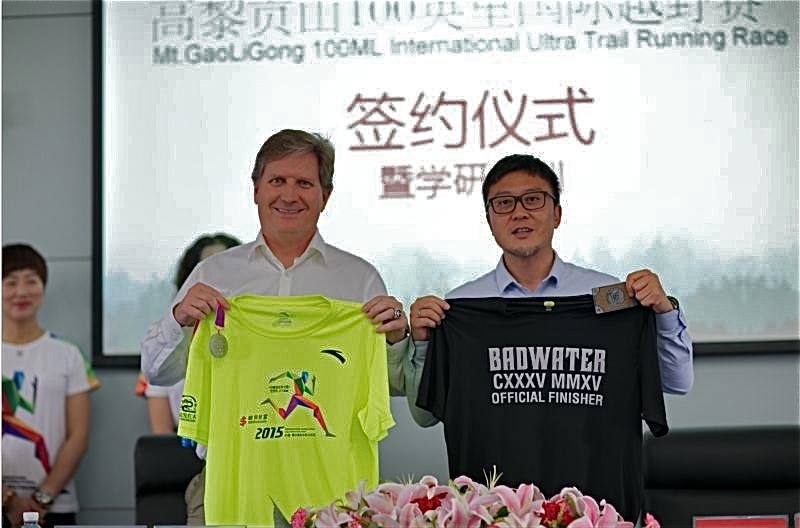 Oak Park, CA / Tengchong, China – BADWATER®, the world’s toughest brand, is pleased to announce the inaugural Mt. 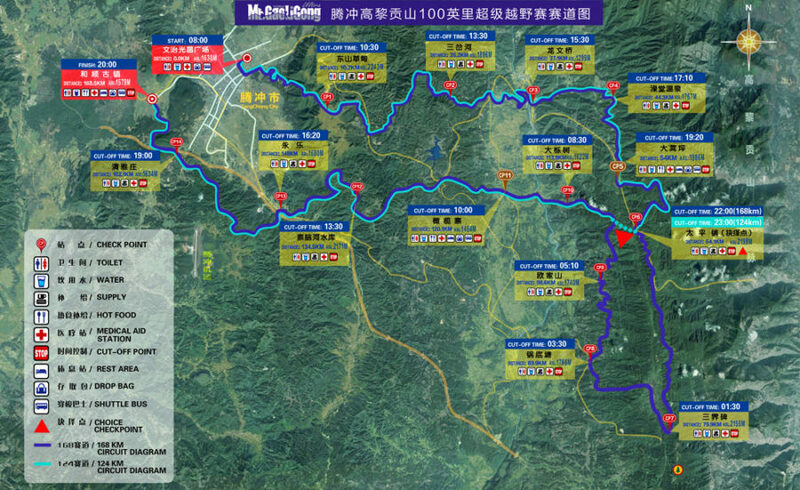 Gaoligong Ultra in Tengchong, Yunnan Province, China on November 18-19, 2016. The Badwater Race Director, Chris Kostman, is serving as the Co-Race Director and is involved with every aspect of the race. The 104-mile (168km) challenge – with a 36-hour time limit and and 29,000 feet (8800m) of elevation gain – is a mountain trail race through history and time. Live tracking of the competitors will be available both here on this page, as well as on the official website for the race at this link: MtGaoligong.com. The full race roster is below, and the field includes seventeen Badwater 135 veterans, many of whom are featured on the official race website at this link. Also below is the course map (which includes a 124km / 77mi “short cut” route with alternate awards and results), elevation profile, and outline of the checkpoints. For our full race announcement, including a remarkable promotional video, click here.